We believe that the more experience that you can get the better a diver you will become. This philosophy is exactly why we think the plus option of the Advanced Open Water course is invaluable. We not only certify you as a PADI Advanced Open Water diver we also include a PADI Diver Speciality such as PADI Peak Performance Buoyancy or PADI Dry Suit Diver in the package. Buoyancy is one of the most important skills you can master, it will make you move effortlessly in the water and make your dives more fun. Our Dry suit addition will give you invaluable experience of “dry” diving, a must if you are considering diving in the UK. To certify you will need to do six dives split over two days, once complete you will be more skilled and have better awareness and knowledge; you’ll feel more comfortable in the water and simply enjoy diving more because you will have an enhanced understanding of diving and the aquatic environment. As with the PADI Advanced Open Water course the “plus” package will expand your experience levels into actual diving circumstances. Ever thought about diving on a awe inspiring ship wreck or learning how to take pictures of the things you see? Then this course is for you, it takes the skills learnt in the PADI Open Water course, develops them and then moves you into new and exciting areas of Scuba Diving. This package needs you to complete 5 Adventure Dives & 1 speciality dive to achieve certification. This course is about diving and being in the water building on your experience and experiencing new adventures. For UK waters we strongly recommend, Dry Suit, Wreck & Digital Underwater Photographer, however it is entirely up to you. You will receive a PADI Adventures in diving manual, a PADI Diver Speciality manual, whistle, Surface Marker Buoy and dive slate as part of the course. 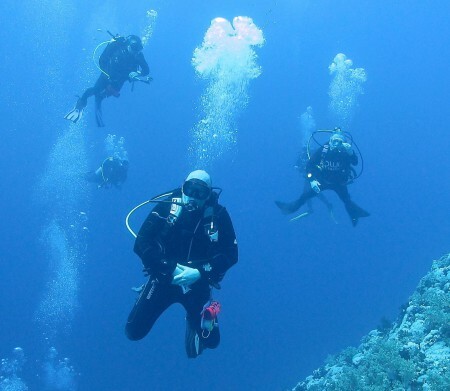 When you sign up on the course we will discuss which adventure dives you wish to do which speciality dive you want to do and then we ask you to read the sections relating to the 5 adventure dives and the speciality manual that you will be doing. After this we ask that you please complete the knowledge review at the end of each chapter – have your instructor check it prior to each dive – and away you go! !